A great Quebecois Thomist used to talk about the “scandal of mediation.” Really, everything offensive about Catholicism comes down to God’s choice to work through human instruments. “Why do I have to confess to a priest?” The scandal of mediation. “Why do I need the Pope to help me read the Bible?” The scandal of mediation. For that matter, why do I need to worry about the natural law, about my human nature, and not just the freedom of my soul? The scandal of mediation. Ironically, deeper down, these things that scandalize Protestants are the same things that scandalize non-Christians about even Protestant Christianity. “Why can’t I go to God without Christ? Why do I need the Bible?” The scandal of mediation. 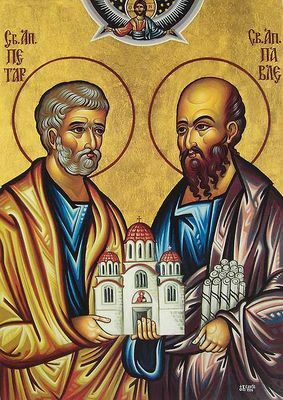 God works through human instruments – instruments like Peter and Paul. But the deeper scandal beneath mediation is the scandal of grace. This is the mystery of grace, which happens first in and through faith. Peter did not deduce the divinity of Christ from his miracles, or from some calculation of “liar, lunatic, or Lord” – at least not if we believe the words of Christ. This was not revealed to him by flesh and blood, nor by human reason, but by the light of faith, the divine gift of the Father in heaven. Peter knew because God gave him the supernatural light to know. This is key for the Church. How does the Pope know the truth of faith? By the supernatural light infused into him by the Spirit of Christ. When we trust the Pope, what we really trust is God himself. Oh, the Pope works with the information he has, just like Peter did. But he can see the truth only because God gives him the light to see. Faith, in orthodox Catholic theology – and certainly in St. Thomas – is a grace. That’s the nature of grace: God gives it, but we truly receive it. This is the deeper truth of the scandal of mediation. What Peter does matters, because God works in him. It is truly God who works – and it is truly in and through Peter. Without getting too technical, this is actually a key point in the Thomist understanding of faith. We don’t believe the Church, we believe God, who speaks through the Church. The first reading for the feast, from Acts, is humorous in its insistence on God. God sends his angel to Peter in prison – Peter is sleeping. What does Peter contribute? Nothing. God sets him free. Peter follows the angel out. Peter is truly liberated. And eventually, Peter, Peter himself, truly understands what God has done, and makes another profession of faith. But it is God who does everything for him. The iron gate “opened of its own accord” – or, rather, God opened it. This is an allegory of grace. It is God who sets us free. The second reading was about Paul. “I am already being poured out as a libation,” he says. Suffering is an interesting part of this dynamic of grace. What does Paul do? Suffer. Receive. And yet, what else does Paul do? “I have kept the faith,” he says. He has stayed true, hung on through the suffering. That really happens in Paul. It is he who stands true. Though notice – he stands true to faith, to his trust in God. And his profession of faith is, “The Lord stood by me and gave me strength.” Paul has the strength to stand firm – but it is God, the Lord who is with him, who gives him the strength. That is the mystery of grace. It is Christ who builds the Church. It is utterly supernatural. Why then the Church? Why doesn’t Christ just work in us individually? Two answers. First, so that we will know, so that we will see that the strength is not our own. How good it is to lean on the Lord, to lean on his work in the Church, and know that I am nothing, but Christ gives me everything. Second, because he wants to – because Christ wants to build up not just a bunch of individuals, but a body, his body, the Church. Where are you called to trust more deeply in God’s work in the Church? Twelfth Sunday: Which Raging Sea? It’s a remarkable question for getting at the “four senses” of Scripture. “Trading on the deep waters”: This is interesting. The people of the Bible are mostly land-bound. It is more their pagan neighbors, the Phoenicians, who “traded on the deep waters,” doing commerce throughout the Mediterranean. But the people of the Bible were familiar with the Phoenician business, and sometimes used it as a metaphor for themselves. My son’s question puts it better: whom is the Psalmist speaking about? Well, on one level, the Phoenician trader. But on a deeper level, he’s talking about “us”: us now, and even the us of then. The Phoenician trader is a symbol of the Israelite’s own life. Even if he doesn’t go on the waters, he sees in that ship an image of himself. Now, Job was not a sea-faring man. The sea only appears in this book in these big general kind of statements. But the sea is a potent symbol: first, of our own helplessness, as we feel threatened by the impending storm; then, of the power of God, who made those crashing waves, and has the power to get us through them. Whom is the Psalmist talking about? Job. Me. Who else is the Psalmist talking about? Obviously Jesus, who in this week’s reading was “asleep on the cushion” as “a violent squall came up and waves were breaking over the boat” – not on the “deep waters” of the Mediterranean, but on the See of Galilee, not with “traders” but with fisherman, but still the same idea. That’s how metaphors work – different situations can still be basically the same. But this Gospel reading itself works on multiple levels. First we see the historical, “literal” meaning: Jesus with the disciples. Once we have that image, we can see the “moral” reading: this Gospel reading, too, is about me. On the stormy sea of my life, I too say, “Teacher, do you not care that we are perishing?” and Jesus responds, “Why are you terrified? Do you not yet have faith?” and now and then I have the wisdom to say, “Who then is this whom even wind and sea obey,” who can actually bring me safe through the mess of my life? But here we see, too, the “allegorical” or Christological meaning. Paul takes us deeper into this in our reading from Second Corinthians, where our image of the tossing sea leads us to the Cross. “We have come to the conviction that one died for all; therefore, all have died.” The boat can be an image of fallen humanity. Christ has entered in with us, experienced the very depths of our stormy sea – even unto death – and so we are no longer alone on that sea, no longer alone in the terror of this valley of tears. This changes everything. Now those who live in this life – and face death – “no longer live for themselves but for him who for their sake died and was raised.” Now we are “a new creation.” Because now we are out on the sea with Jesus. Whom is the Psalmist talking about? Jesus, who calms the storms by becoming flesh, even unto death. Finally, a brief word on the “anagogical” or eschatological sense. Whom is the Psalmist talking about? Whom is the Gospel talking about? It is also about heaven, where finally the winds will cease and we will know the perfect calm of the infinitely powerful God. 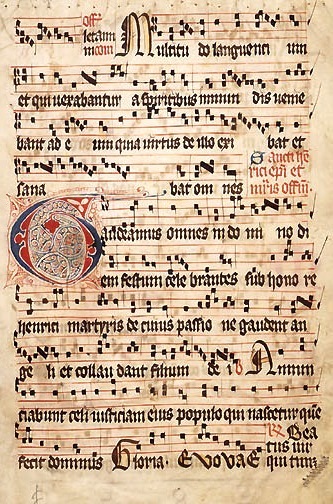 How could you use the four senses of Scripture – literal/historical, “moral”/practical, Christological, and eschatological – in your own prayer life? How could it help you understand your own stormy seas? At last we return to Ordinary Time and our orderly reading through Mark’s Gospel. Appropriately, this week’s readings give us a straightforward account of the power of clinging to the Gospel. The point is simple and profound: the power of Christ is beyond our imagining. We see something small and weak; we tend, sometimes, to diminish our faith, and look for salvation from something stronger. But what appears to us like nothing has the power to “put forth large branches, so that the birds of the sky can dwell in its shade” – far beyond what we can accomplish. Now, we can say “Gospel” in two ways: we can mean the message itself, or the books that contain it. In both senses, the Gospel is powerful. When the message is planted in us, when we receive it with faith, it grows up into that great tree. But the Alleluia verse makes reference to another similar parable, saying, “The seed is the word of God.” Here too is the power of the word, the Biblical texts that carry the Gospel to us. Traditional Catholic spirituality above all allows the Biblical word to be planted in our soul. 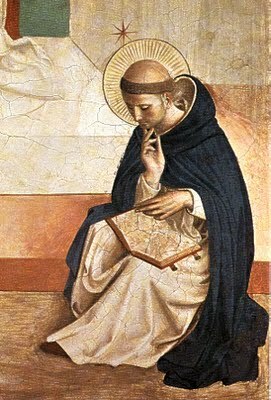 And indeed our Gospel reading ends with a reference to this: “Without parables he did not speak to them, but to his own disciples he explained everything in private.” Christ’s words themselves are like the seed: parables that seem pointless, but when received into our heart, when planted in the depths of our souls, infinitely powerful. Let us put ourselves at the feet of Christ, and listen to his words. God is more powerful than human strength. He has power to cast us down, but thank God if he does, for then we might be weak enough to let his power lift us up. This is the fundamental message of the Gospel. But our reading from Ezekiel has two other interesting parallels to the Magnificat. Mary goes on, “He has come to the help of his servant Israel.” In Ezekiel, God says of his little plant, “on the mountain heights of Israel I will plant it.” The mountain heights of Israel is where Jerusalem is. God does not just push people around. Above all he builds his people, builds his Church – all this use of power is at the service of building up the true Israel. Let us find ourselves in that Israel, locate ourselves always within the Church. And Ezekiel concludes, “As I, the LORD, have spoken, so will I do.” Again, it is not just a matter of power; God uses his power to be faithful to his promises. The Gospel is the promise. Let us listen to that promise, let us trust in it, let us stake all on believing his word to us. That is where the power is. Finally, Second Corinthians is all about encouragement in suffering. But our selection this Sunday says, “we walk by faith, not by sight.” It uses other language about being “at home” in the body, or in the Lord – at home is a loose translation, but the point is where we find ourselves. Here we find ourselves in the land where God’s power seems weak, where the Gospel seems hard to understand, hard to believe, where human power – Egypt – seems more reliable. We need first simply to recognize this fact: the Gospel is fundamentally about living by a power it is hard for us to see. But we need also to strive forward, “For we must all appear before the judgment seat of Christ.” Well, again, “judgment seat” is a loose translation: we will stand at the feet of Christ, stand before him. One day, we will see that he alone is strong. Let us, on the one hand, tremble before that day, realize that nothing can matter but aligning with his strength, weak though it may seem in this land of faith. But let us, too, take consolation in knowing that one day the veil will be torn away, and we will see the truth of our faith, the truth of the Gospel, the truth of the promises and the power of Christ. Where are you being called to walk by faith? Today we can consider how this Latin-Church insight goes together with the Sacred Heart. The simple point is this: the Holy Spirit pours out to us from the Heart of Jesus. Sometimes people seem to think that the Holy Spirit is an alternate way to God. Then we sort of end up with a “conservative” Son-religion and a “liberal” Spirit-religion, in tension with one another. There are those who think you need the Son, and all the dogmatic baggage he brings with him – and those who think you just need the Holy Spirit, who frees us from the Son. This can cut various ways. For some people, the Son-religion seems to be the religion of judgment and rules, and the Spirit-religion is the religion of no rules. But an interesting reverse side of this is that sometimes the Son-religion seems like the religion of mercy, and the Spirit-religion leaves you to do it yourself. 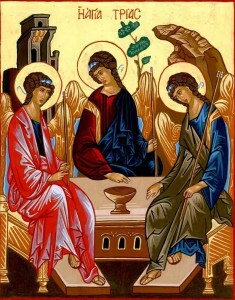 First, the Holy Trinity is inseparable. That’s kind of the central point of the Trinity: not three gods but one. You cannot have the Son without the Spirit, or the Spirit without the Son, or the Father without both. Thinking through the details of this is tricky, but basic simple orthodoxy has to realize that Father-Son-Holy Spirit is a package deal. Second, the Son and the Spirit are inseparable. In fact, we don’t follow the Son-religion or the Spirit-religion, we follow the Christian religion. But in the early Church (especially the Greek-speaking Church: “Christos” is a Greek word) it was clear that the “Christ” is the “anointed one” (in Hebrew, Messiah), and what he is anointed with is the Holy Spirit. This is one of the main points of John Paul II’s encyclical on the Holy Spirit Dominum et Vivificantem. To call him Christ is to see the Holy Spirit as the one who dwells on the Incarnate Son, and the Incarnate Son as the one on whom the Holy Spirit dwells. The Holy Spirit is our gift from the Son – poured out from the pierced Heart of Jesus – and what the Holy Spirit does is to draw us into union with the Son. And this is the only path to the Father: we know the Father precisely and only by receiving the Spirit from the Son, and receiving union with the Son through union with the Holy Spirit. The Holy Spirit is the outpouring of the heart of Christ. He is the Spirit of Christ. We could even in a sense say the Holy Spirit is the heart of Christ. 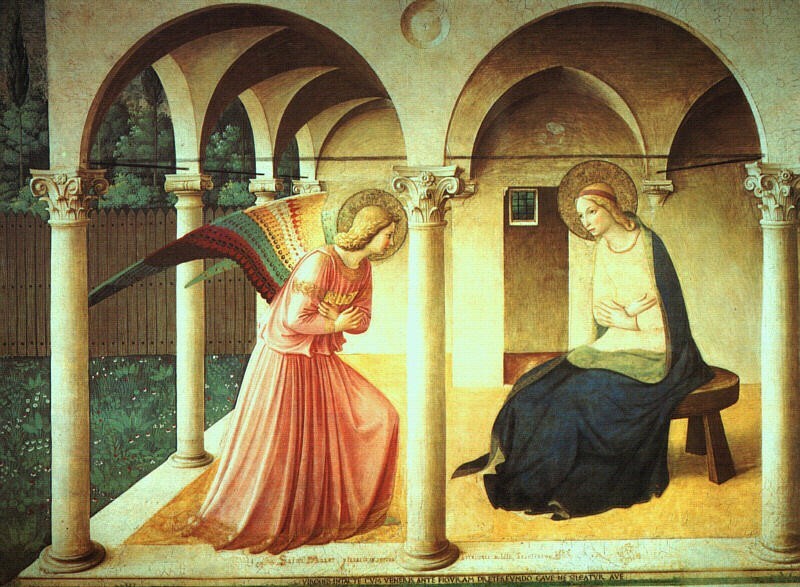 The Incarnation, particularly the Sacred Heart of Jesus, shows us the glory of the Spirit. Without the Sacred Heart, Spirit-religion can be a bit vague. But the glory of the Spirit is precisely that he can make us as deeply human as the Son. The heart of Jesus is the pattern that the Holy Spirit works in us, the image of our own “spiritual” transformation. The Holy Spirit doesn’t just make us vaguely “spiritual”; he makes our hearts like unto Jesus’s. And the Holy Spirit shows us the glory of the Sacred Heart. Jesus is not just a guy who loves a lot. Without the Holy Spirit, or at least, without a clear sense divinity resting on Jesus, we can fall into the mirror heresies of Arianism and Pelagianism. Arianism means Jesus isn’t really God – orthodox people know that’s not right. But Pelagianism is the sneaking suspicion that we’re supposed to make ourselves righteous (with its own converse, that Jesus is somehow an excuse that we don’t have to be righteous); I think orthodox people are much more susceptible to this heresy. Thinking of the Holy Spirit as the Spirit of Christ, the Spirit of the Heart of Jesus, reminds us that it is only God who makes us holy. It is always a gift of God. At least for us, the Holy Spirit proceeds not only from the Father, but also from the Son, Filioque. To perfect our understanding of this, we need only to add that so it was in the beginning, and ever shall be. Do you ever find yourself thinking of Jesus without the Holy Spirit, or the Holy Spirit without Jesus? This Sunday we celebrate the Feast of Corpus Christi. 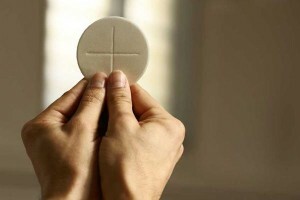 In the simplified liturgy after Vatican II, it is called “The Body and Blood of Christ,” though in the past there was a separate feast for the Blood, July 1, and there is still a tradition of thinking about the Eucharist in June and the Precious Blood in July. Yes, it should be on Thursday, and yes, the Bishops always transfer it to Sunday. But until we have been bishops (that is, never) let us lay off criticizing their prudential judgments. That could be a nice way of remembering the feet-washing part of the Eucharist: Christ doesn’t give us his body so that we can tear one another apart. Let us focus not on our judgment of the bishops, but on this great gift to us. 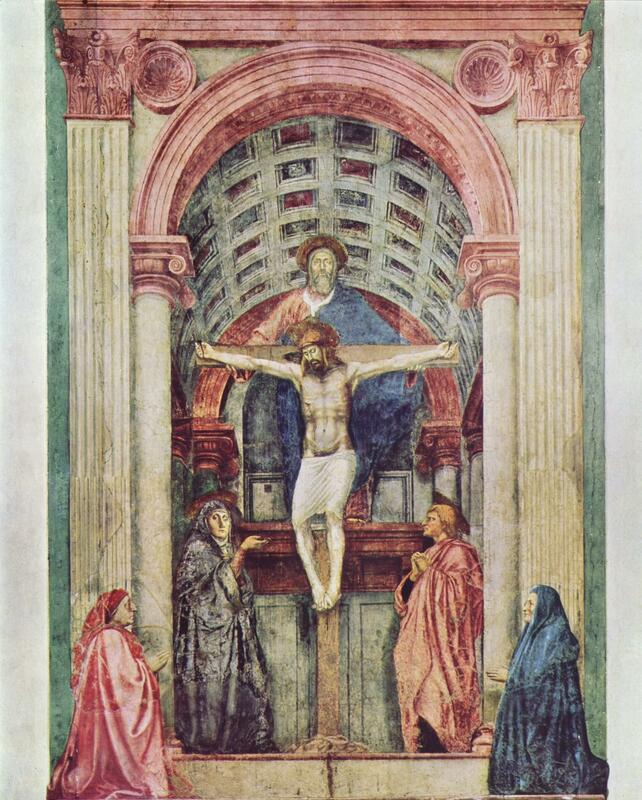 This year, the readings focus on the Precious Blood. In the Gospel, let us just notice two points. First, in the Synoptic Gospels, the Last Supper is introduced with “when they sacrificed the Passover lamb.” We imagine the blood of Christ shed. Perhaps when we hear “a man will meet you, carrying a jar of water” we should think of the union between the blood of Christ and Baptism – and Baptism as our preparation for the Eucharist. The Roman Canon used to make it clear, too, that the blood specifically is the “mystery of faith.” The blood is significant. . . .
And so in the reading from Hebrews, too, we hear, “he entered once for all into the sanctuary, not with the blood of goats and calves but with his own blood, thus obtaining eternal redemption.” What is going on with this “blood of the covenant”? The richest reading this week is perhaps the first, which tells us of the original Passover, in Exodus. This is the symbolic world that Jesus perfects with his own blood. At the end of the reading, Moses “took the blood and sprinkled it on the people, saying, ‘This is the blood of the covenant that the LORD has made with you.’” When in Matthew’s Gospel the Jews says, “His blood be on us, and on our children,” they are not embracing their guilt. In the Jewish tradition, this is about accepting Christ himself. Those are the words we should say. Now, there’s a bit of a controversy about translation. Nowadays we often use the word “covenant,” which talks about mutual relationship. That’s definitely present in this reading. The people say, “We will do everything that the LORD has told us.” They offer sacrifice. And the book of the Law is called “the book of the covenant.” “Covenant” nicely describes how this is a two-way relationship. But we can learn something from the older usage, which translated the same Greek and Hebrew word as “testament.” Testament seems above all to refer to a will, a promise to give an inheritance to someone when you die. The New Testament often invokes exactly that idea. A testament is not a two-way relationship: one side gives, the other receives. We could almost translate this as “promise”: God’s promise to us. And then we might think of our moral obligations, and our obligation to sacrifice, not as upholding our half of the deal but as our inheritance. The Law is not what we give to God – it is what God gives to us, sheer gift. So too the Eucharist. It is not our end of the deal. 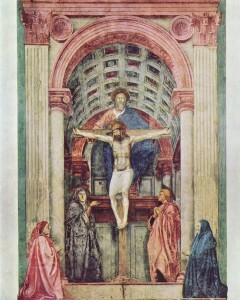 Christ’s Precious Blood is given to us as sheer gift, his “testament” to us. The Mass is something we do – and something we give thanks for getting to do. Thank God we have been given his blood to “splash on the altar.” His blood be on us and on our children! How could we express greater gratitude for the Mass in our daily life? Last weekend we celebrated Trinity Sunday, the octave of Pentecost. We could say that Trinity Sunday is the fulfillment of Pentecost: the last thing to say about the Holy Spirit is that God is Trinity. Or we could say that the real point of the revelation of the Holy Spirit is to help us discover the Triune God. What we call the Nicene Creed was first approved at the Council of Nicaea in 325, then significantly modified at the Council of Constantinople in 381. The finished product said, “the Holy Spirit, who proceeds from the Father. With the Father and the Son he is worshipped and glorified.” In the second part he gets “Glory be” with the Father “and the Son,” but he only proceeds from the Father. It’s significant that it’s in Latin: like the New Testament and much of the first centuries of the Church, the Councils of Nicaea and Constantinople were conducted in Greek. There’s a whole eastern, Greek-speaking part of the Church; before the rise of Islam, much of the leadership of the Church, both intellectually and spiritually, was Greek-speaking. But the Greeks don’t say “Filioque.” In fact, historically, it’s one of the biggest fights between Roman Catholics and Eastern Orthodox: they say we added to the Creed, and that’s not okay! Here’s the interesting thing: both sides, we Romans who say “Filioque” and the Greeks who think we shouldn’t, are both insisting on how little we know of God. Interesting, though: the reason we say Filioque is not because we think we know so much. It too is a way of saying how little we know. We don’t know much about the Son. But in Latin theology, we say that the one thing we do know is that he’s exactly like the Father. We say “Filioque” because we say, look, all we know is that they are exactly alike, so if the Holy Spirit proceeds from the Father, he must proceed from the Son, too. In a way, we are saying, don’t complicate things by coming up with distinctions between the Father and the Son: what the Father does, the Son does. For our purposes, my only point is, when we think about the Trinity, and the Holy Spirit, and the Filioque, etc., the main thing we should think is, God is infinitely beyond what I can understand. In fact, much of what we say in theology and in the Creed is merely there to remind us how little we can comprehend the wonderful mystery of God. A few words, then, about Sunday’s readings. In the Gospel, we read that we are baptized in the name of the Father and the Son and the Holy Spirit. Let us just add, on Trinity Sunday, that we are baptized into the mystery of God – into something the greatness of which we cannot fathom. Try to come up with how amazing Baptism is – and it is way more amazing than that! 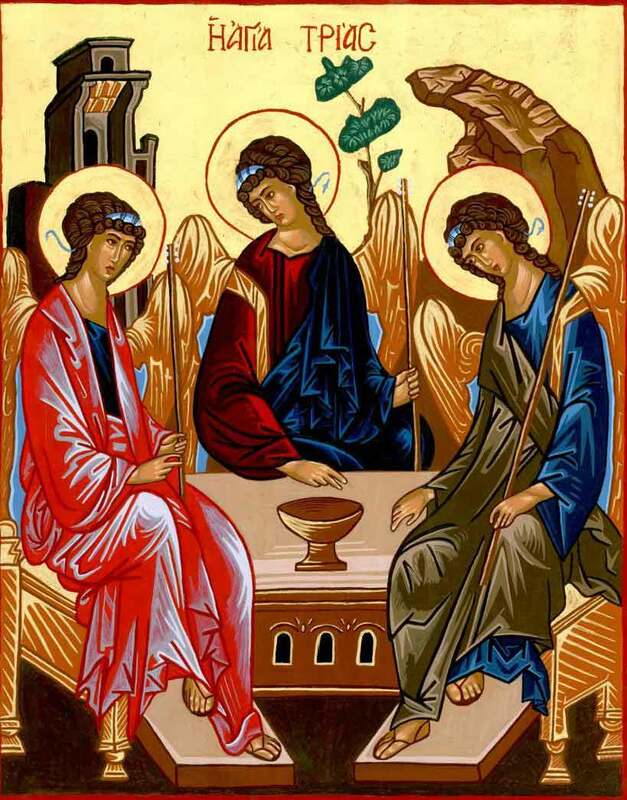 The first reading, from Deuteronomy, said, “Did a people ever hear the voice of God speaking from the midst of fire, as you did, and live?” Let the feast of the Holy Trinity remind us how awesome, how incomprehensible, is that God who speaks to us. How unfathomable that he should call us into relationship with him! 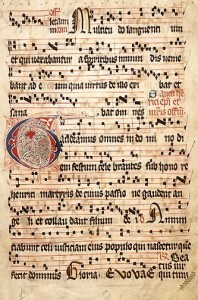 And above all, in the second reading, from Romans, we read that we have been made “sons of God” by receiving the “Spirit of adoption,” who allows us to speak, to “cry, Abba, Father.” Let us ponder the awesome mystery of the unfathomable Trinity – and know that it is precisely this mystery that has been given to us – no, that we have been drawn into. How do you ponder the awesomeness of the Triune God?